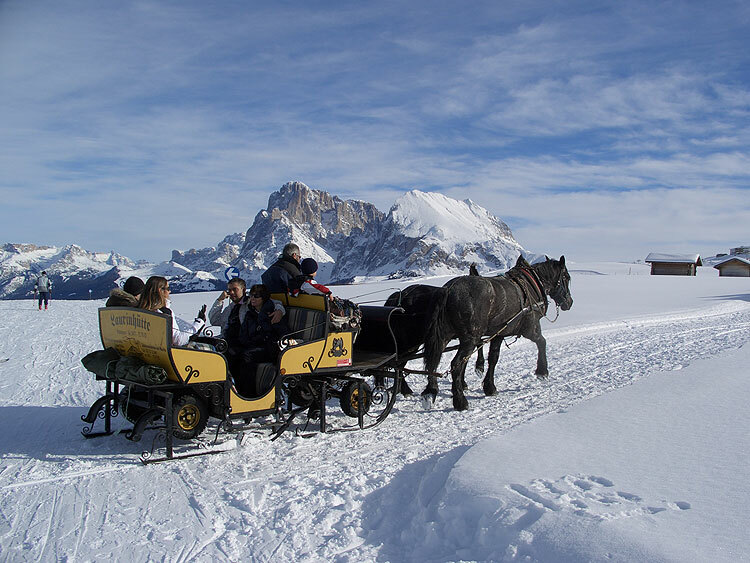 Winter walks: Think of a scene in which breathtaking views extend over snowy meadows and reach imposing rock faces. 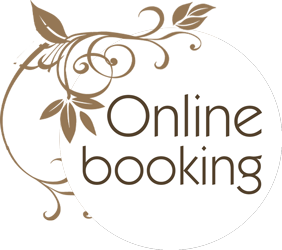 The scene you have in mind is Dolomiti Superski! 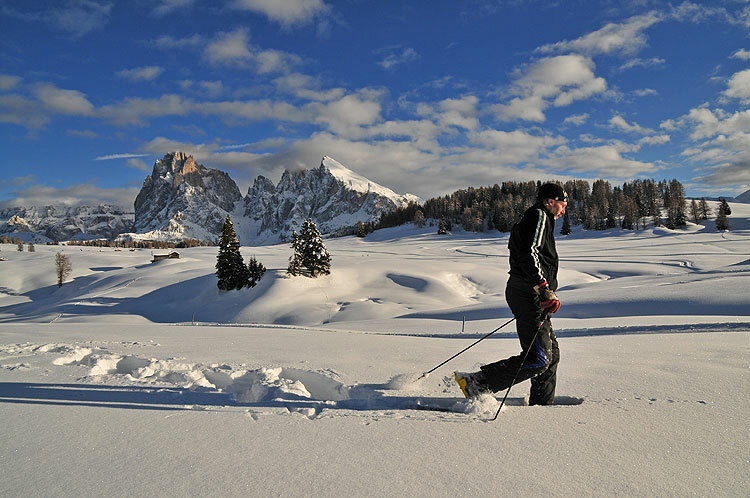 Whether you prefer a walk in the fresh virgin snow or simply to relax in the most magical of winter settings, the Dolomites have it for you. 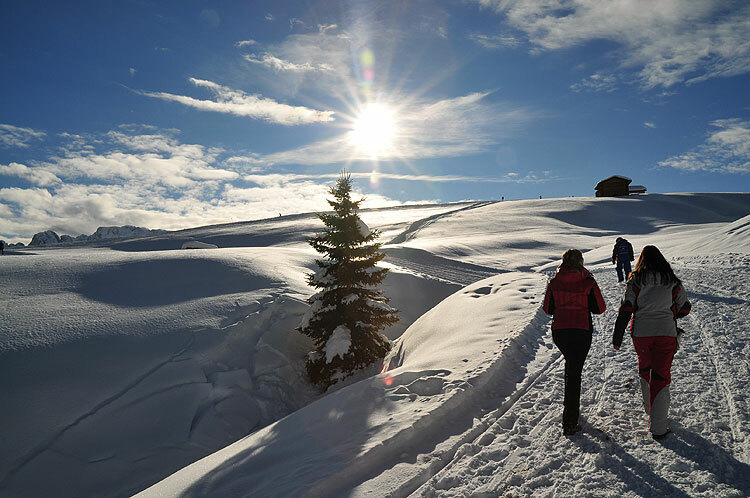 Snowshoeing: Listen to the snow creaking while crossing an undisturbed, silent landscape, be fascinated by the magnificent winter sunsets of the Dolomites or go for the romantic torchlit walk. 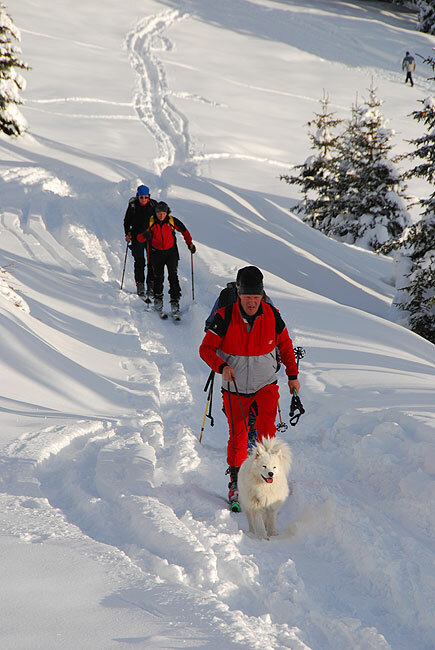 Skitouring: Experience the exhileration, on a bright sunny morning, of leaving the first ski tracks on the mountain ridge.